Blue C is pleased to announce the formulation of an exciting new in-house initiative: The Blue C United program. Long known for our partnerships with some of the most innovative brands, influencers and artisans, this new effort is collaboration with the people that are helping to shape the now into what will be influential in the future. We aim to team up with the artisans that are helping to keep true craftsmanship and artistry alive and thriving by helping tell their story in a meaningful and authentic way. Scheduled to run this year from February 10-12 and based in Portland, Oregon the ONE Motorcycle Show is a movement of people dedicated to the old-time notion of building and creating the items that fuel the common passion for art-inspired motorcycles. What started eight years ago as a loose gathering of friends with common interests has grown to be one of the most anticipated and influential shows in today’s growing DIY motorcycle subculture. 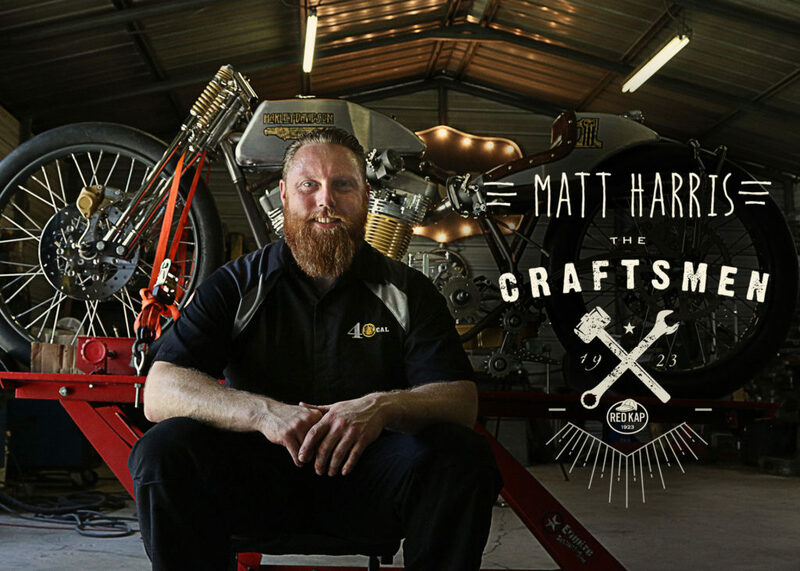 Matt will be displaying two of his most recent works at the ONE Show, including his infamous 1923 Harley-Davidson JB that he recently raced at the historic Booneville Salt Flats. Another Harley-Davidson of Matt’s creation will be his “Super Hooligan” Sportster flat tracker, which will serve double duty as a show piece and as a racer in the ONE Show Pro Flat Track race to be held at Salem Indoor Speedway. Blue C is excited to kick things off with Matt and the 40 Cal Customs crew at the ONE Show and we look forward to more electrifying and inspiring collaborations for the rest of the 2017 calendar. Look for more updates on our efforts with Matt and the Blue C United initiative as the partnership continues.